« How Does Panasonic’s Post Focus Work? 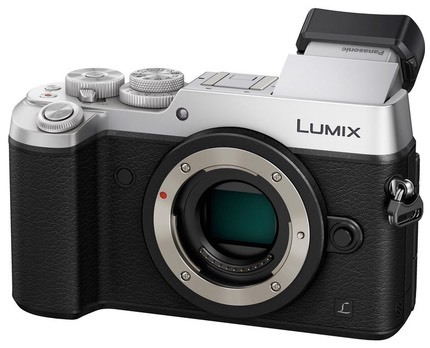 The m4/3 world just hatched another camera today: the 20mp Panasonic GX8, a rangefinder-style camera with a number of interesting aspects. A lot of people are getting hung up on the 20mp aspect of the camera. While I always welcome a new sensor, given that sensors in general tend to make substantive improvements about every three years, note that this just nets you a 13% resolution gain, generally not enough to be visible to most people. Compared to the previous GX7, the new magnesium allow body design features a more pronounced right hand grip, and a redefinition of the top plate controls with what I can only call a modern retro feel (similar dials to retro designs, but modernized). The body loses the built-in flash, but gets an almost lens-aligned hot shoe. The body is dust and water resistant. Note that the GX8 is bigger than the GX7 in every dimension, and a bit heavier, as well. It also uses a BLC-12 battery (330 shots CIPA). The sensor upgrade also nets 4K video at 30 fps, as well as improved DFD style focus that now includes a starlight mode capable of shooting at -4EV. The sensor features an electronic shutter, so silent shooting is possible, as is shutter speeds up to 1/16,000. Like the GX7, the GX8 features sensor-based image stabilization, and integrates with Panasonic’s lens IS system for a “dual IS” approach. Rumors that the GX8 would be LX100-like in its controls were a bit off the mark, as we have a Mode dial on the GX8 and no shutter speed dial. Still, I get the reason why folk who used the prototype spoke this way: the GX8 has a fairly simple, direct, and photographer-centric control system. The tilting EVF has been redesigned, and the LCD touchscreen is now a swivel instead of tilt-only. Price went up a bit, too, something we’re going to have to get used to. At US$1199 the GX8 is US$200 more expensive than the GX7 it succeeds. I suspect that these price bumps we’re now seeing are mostly artificial. 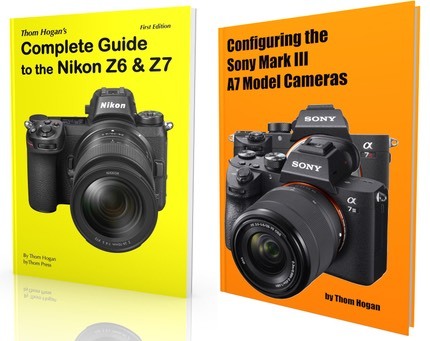 Since the expectation now is that any camera that’s been out for awhile has discounts on it, by starting at a higher price the camera companies can still appear to be giving large discounts, but better retain their product margins when they do so. Here in the US, everything looks very artificial in that respect though: in the time between the GX7 and GX8 the implied price should have gone down 20% due to the yen devaluation, not up 20% as it appears here. 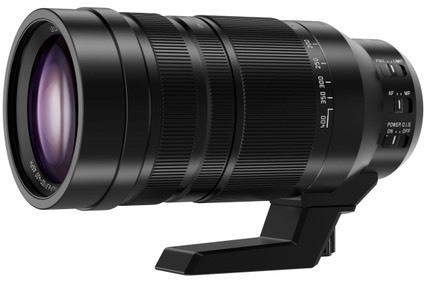 As part of the GX8 announcement, Panasonic also announced development is in progress on two new m4/3 lenses: a 100-400mm f/4-6.3 and 25mm f/1.7. These lenses introduce a new function called “post focus”, which is similar to Nikon’s BSS: the camera shoots a burst in 4K resolution while shifting the lens slightly, then after the shot you can select the one that is best in focus. I’m more intrigued by the statement that the 100-400mm lens is DFD capable with 240 fps image data. This means it should be on par with the fast focus we see with Panasonic bodies with the shorter focal length lenses. The other nice thing about the new telephoto zoom is that it has a tripod collar (the current 100-300mm does not). No details on other specifications, date of release, or price were mentioned.